Did God command polygamous relationships in the Old Testament? Note: The following was originally printed in the January/February 2016 edition of Mormonism Researched. To request a free subscription, please visit here. In biblical times, the Lord commanded some of His people to practice plural marriage—the marriage of one man and more than one woman. Some early members of The Church of Jesus Christ of Latter-day Saints also received and obeyed this commandment given through God’s prophets. The following three points will show how the practice of one man marrying two or more women was a perversion of God’s original intention, even if those who practiced plural marriage were patriarchs, judges, and kings from the Bible. In addition, there were specific consequences for these actions. each man should have sexual relations with his own wife, and each woman with her own husband. The husband should fulfill his marital duty to his wife, and likewise the wife to her husband. The wife does not have authority over her own body but yields it to her husband. In the same way, the husband does not have authority over his own body but yields it to his wife. The analogy makes no sense if polygamy is a viable option in God’s framework. Now Sarai, Abram’s wife, had borne him no children. But she had an Egyptian slave named Hagar; so she said to Abram, ‘The Lord has kept me from having children. Go, sleep with my slave; perhaps I can build a family through her.” Abram agreed to what Sarai said. So after Abram had been living in Canaan ten years, Sarai his wife took her Egyptian slave Hagar and gave her to her husband to be his wife. He slept with Hagar, and she conceived. 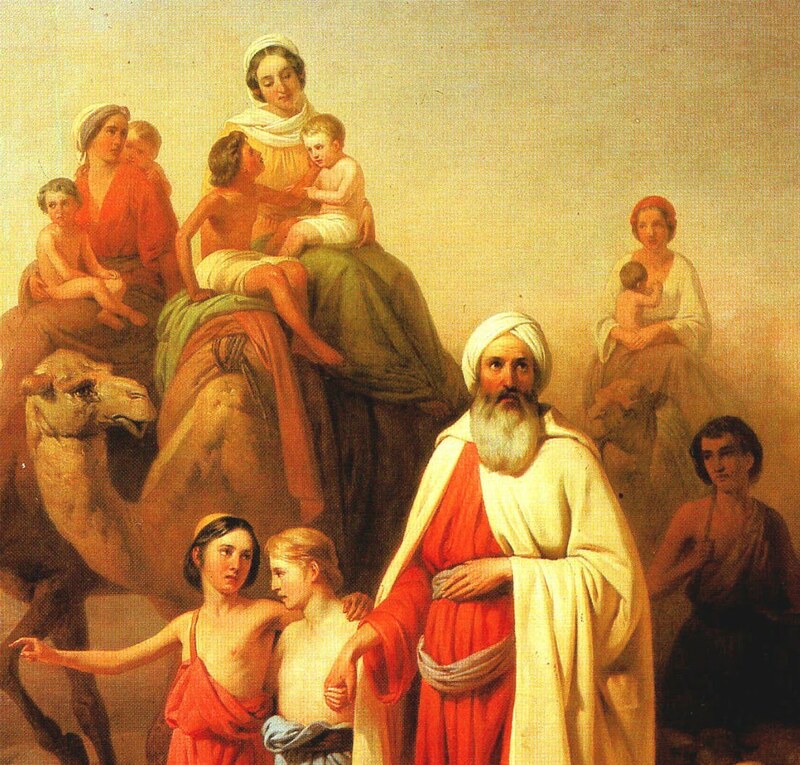 The angel of the LORD addressed her as “Hagar, servant of Sarai,” not as “Hagar, wife of Abram.” He gave her the command, “Go back to your mistress and submit to her.” Hence, it can be seen that Sarai, not God, told Abraham to take another “wife.” Just like the issue of divorce—a practice not intended for God’s people as Malachi 2:10-16 teaches—plural marriage was tolerated but not commanded by God. Neither divorce nor polygamy was God’s original intention. Though no explicit verbal condemnation of this practice is given in these biblical narratives, the narrator (whom I take as Moses) presents each account in such a way as to underscore a theology of disapproval. The record of these polygamous relationships is bristling with discord, rivalry, heartache, and even rebellion, revealing the negative motivations and / or disastrous consequences that invariably accompanied such departures from God’s Edenic standard. The inspired narratives with their implicit theology of disapproval speak even louder, and more eloquently, than explicit condemnation (“Condemnation and Grace: Polygamy and Concubinage in the Old Testament,” Christian Research Journal September/October 2015, p. 35). Mormon leaders and their apologists may think that pointing to the Bible for support of their church’s 19th century practice of marriages between one man and multiple women will suffice. However, the Bible does not support this argument. Those who advocate polygamy as a possible alternative—whether in the biblical past or even for the contemporary future—will have to come up with alternative reasoning. If God did not command polygamy in the Old Testament, could it be possible that He didn’t commend this practice to LDS leaders such as Joseph Smith and Brigham Young? If so, then polygamy has not been “divinely mandated,” as the church essay makes it appear. Indeed, there can be no biblical justification for the practice and should be considered less than God’s best for all people in all times and in all places. For a paragraph-by-paragraph review of the church essay referred to in this article, visit here.